These Grain-Free Chocolate Hazelnut Cookies are so easy, it’s almost a sin. Since a batch only makes 12 cookies (you could double it, of course) and they’re packed with fiber, I feel these cookies are a healthy-ish treat too. Disco. This grain-free recipe calls for tigernut flour, which isn’t made from nuts. A tigernut is a small tuber – it grows like a potato. Tigernuts are loaded with fiber, allergen-friendly and Paleo. I think they taste kinda coconutty, which I’m into. I used Tiger Nuts tigernut flour, which I like because it’s finely ground. You’ll also need some chocolate hazelnut butter. You can make your own or pick up a jar, just make sure the oil is stabilized in the butter. If you use nut butter with the oil separated, your cookies will be a runny mess. Not delicious. I used Nocciolata Dairy Free hazelnut chocolate spread, because that’s what I had in the pantry. If you’re Paleo, you can enjoy Grain-Free Chocolate Hazelnut Cookies too! Just choose paleo-friendly nut butter and chocolate chips. 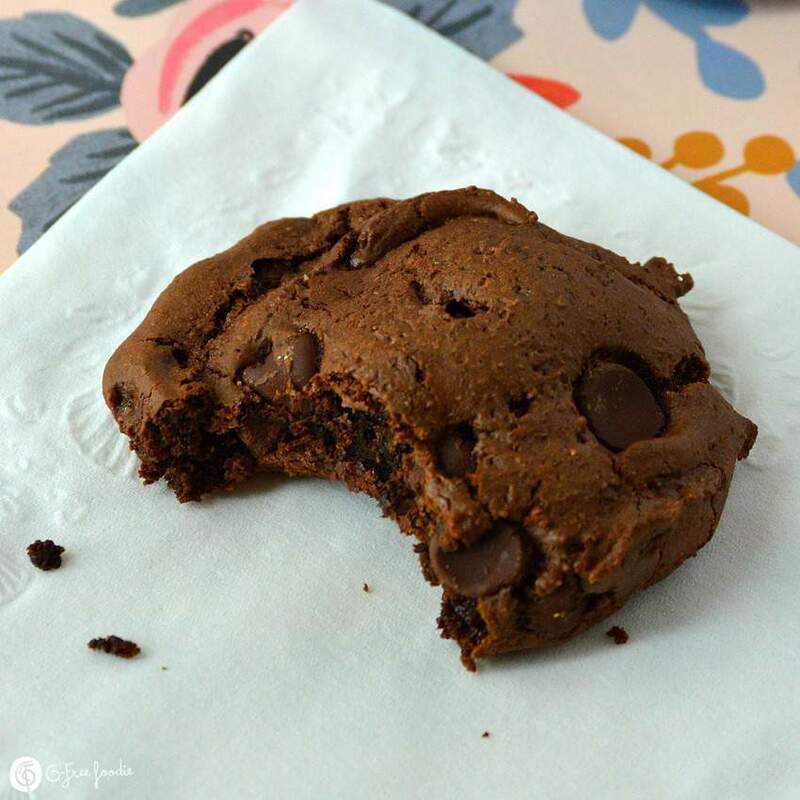 The cookies are chewy, with a brownie-like consistency in the center. Perfect for my 3pm chocolate fix. Give these a try, I’m pretty sure you’ll love them. Combine egg, chocolate hazelnut butter and coconut sugar and mix until smooth. In a separate bowl, combine tigernut flour, baking soda and salt. Add dry ingredients into wet and mix until dough forms. Bake for 10 – 12 minutes. Allow to cool & enjoy! If you would like to get some of our amazing Premium Organic Tiger Nuts Flour, just click here!